Marimar Quiora once hid her face from strangers in the street, but now proudly bares her beauty to millions of people who follow her online. Marimar was born with a facial tumour called cystic hygroma, which means she has to use sign language in her videos to communicate. But the inspirational student won’t let anything hold her back, and now she is turning traditional beauty standards on their head with her powerful message of self-love. Marimar, from California, said: “To me, beauty means to accept yourself for who you are, and to ignore what other people tell you. Marimar’s mum Maria didn’t know of her condition until after she was born and in her younger years she would struggle with her appearance. Marimar said: “It has affected my mouth since before birth. Before, my face and head were bigger and I went through the process of many surgeries over several years to shrink my face and mouth to what you see today. 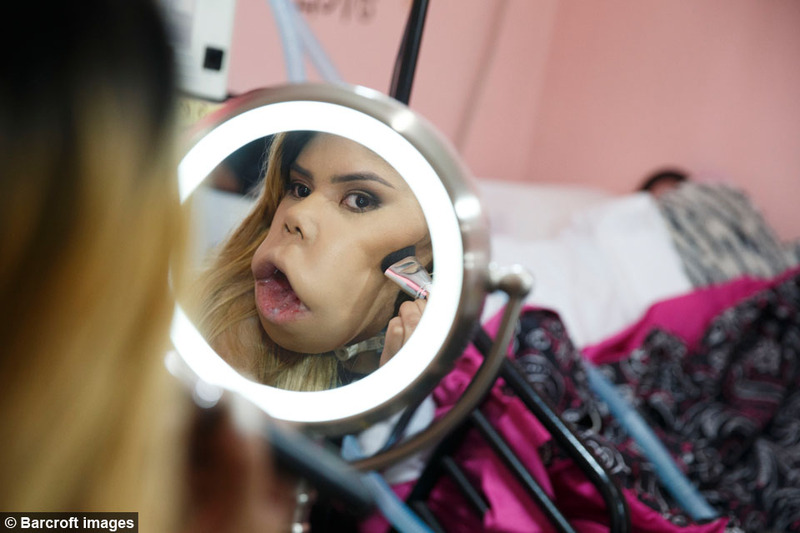 Brave Marimar has undergone multiple procedures over the years to shrink the tumour but now she is embracing her beauty and encouraging others to do the same. She said: “When I was younger I would talk to myself in the mirror. I would tell myself I was beautiful. “I would encourage myself and list all the things that were good about me and it built my confidence through the years. Marimar had always been interested in makeup but two years ago she decided to throw caution to the wind and start her own video blog on YouTube – and she could never have predicted it’s success. Now Marimar has had over five million views and gets countless messages from women who she has inspired. Sadly not everyone has been so positive about Marimar’s venture, and she has received some abuse from online trolls. Marimar said: “I have encountered negative people both on YouTube and out in my daily life. People tell me I look like a monkey, that my mouth is wrong and people stare at me, I see them staring. Marimar’s biggest fans are her mum Maria and her older sister, Airam, 24. Maria said: “I say to her she can do whatever she wants - with some limitation - but still she can do everything. “She said she wants to go traveling and go many places and inspire other people and give thanks to God that’s she’s alive with a lot of energy. “Personally she inspires me because it’s not easy having the condition she has, everybody looking at you, everybody staring at you and for us as a family its been hard to do this together. As well as making her videos, Marimar is also training to become a teacher for deaf children and attends beauty school in the evening. She is also a Zumba instructor and teaches a class every week. Marimar said: “I started going to Zumba classes about two years ago. As I learned it became really fun for me. “I loved it so I decided to earn my certificate last year in August of 2015 to teach Zumba class. 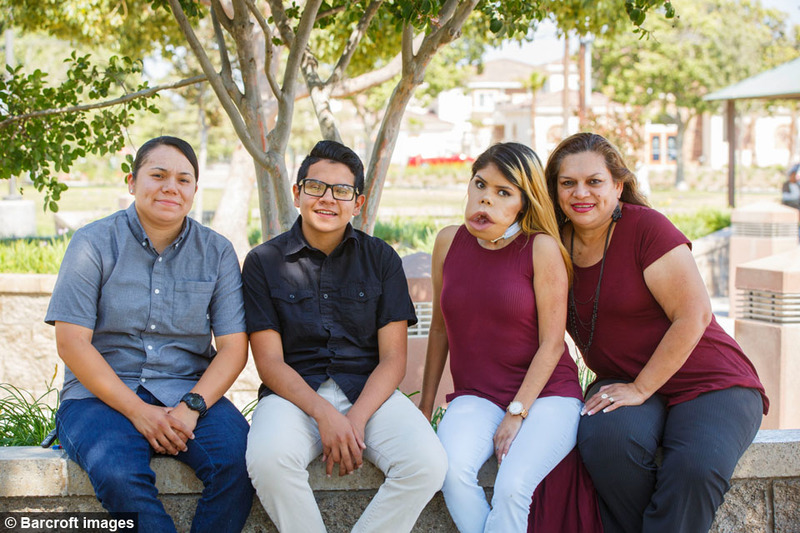 Marimar does not know how her condition will affect her further down the line, but she has big plans for her future.